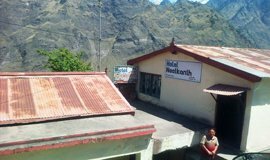 Joshimath Hotels, a major town before Badrinath. There are numerous choices for hotels in Joshimath. Numerous travelers favor remaining in Joshimath while going to Badrinath Temple or Auli. 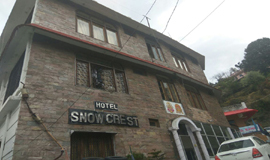 If you are looking for budget hotels in Joshimath then you have come to the right place. Appreciate the advantages of magnificent convenience in Joshimath with a mix of appeal and joy, you can remain at any of the Joshimath Hotels. 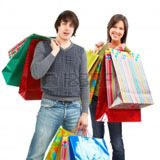 Being a prominent vacationer goal, it encounters high inflow of travelers amid season time. 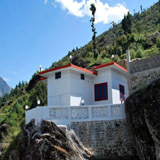 You can likewise discover Guest houses, Dharamshala and Ashrams on Joshimath highway. Most of the inns are situated inside easy reach to the primary downtown area and are effectively available. They are most splendidly suited for sightseers who wish to have an agreeable remain alongside warm accommodation without spending heavy sums of cash. 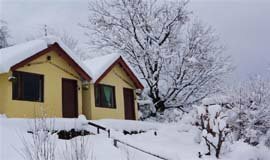 From budget to luxury , lodge to resort Allseasonsz has listed 15 properties for booking in Joshimath. 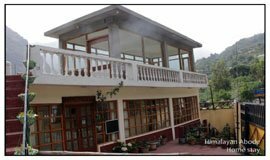 Out of 15 Hotel properties, You can search for Joshimath Hotel (10) Joshimath Self-catering/Villa/Cottage (1) Joshimath Tent/Camp/Caravan (2) Joshimath Home Stay (1) Joshimath Guest house/Hostel/Lodge (1) Joshimath Boutique hotel (2). You can pick your stay out of 15 hotels in Joshimath. 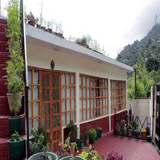 Peruse through a wide assortment of inns extending from spending minimal effort practical inns to extravagance grand (1 Star, 2 Star, 3 Star, 4 Star and 5 Star) lodgings, from homestays to legacy inns and resorts in Joshimath. Check more travel insights about Joshimath. Book online Joshimath Hotels and resorts and get exclusive discounts on hotel room rates and packages. "It's a tent site and you feel amazing with the location. It gives you warmth once you are there at reception and meeting the manager Nandan! he will be escorting you personally..."
"One of the best hotel in Joshimath located on the starting point of Ropeway to Auli. We had a comfortable stay there, Staff was very nice and food was just great..."
"Our stay at Malari in was amazing with nice location being in the main city and near ropeway (a short way through ropes to auli)which is a just few metres away from the hotel Hotel cleanliness is good with cooperative staff ..."
"Great food, helpful staff, nice rooms. The rooms had hot water and heaters, which was nice. The staff spoke English and was very helpful when we needed it." "The staff is very helful. Rooms are spacious and furnished with all modern amenities. Good Food. Good Environment. Would love to stay again." 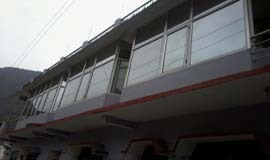 "The property is located near to auli ski resort. Loved our stay. Food was also great and the staff was very helpful. Recommended." 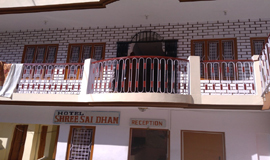 "One of the best budget hotel in Joshimath. Rooms facilitis are very good and the staff was very helpful. They did their best." "Stay was pleasant location is very calm and staff is average.room service is generaly very late.food is ok. Overall a good budget hotel." "The stay was good.nice place.Good food & room service are excellent. Room are very neat & clean. All staff people are very kind & Helpful in nature homely atmosphere." "Best Services in cheapest price. very beautiful places. service from station to station and all day trip with family.."
"One of the most comfortable resort that i have ever visited in the mountains. Extremely warm and caring staff esply Mr. Raj (Hotel Manager) & Sachin. Great food quality with well equipped rooms...."
"Rooms are great, staff management is pretty good, manager on the Reception desk is very helpful, view from hotel is awesome, its all mountain view, Room facilities are great no doubt in that." "We had a wonderful experience at XRA. the host is warm, very knowledgeable. The food was lovely. Its an absolute delight, close to the nature and really serene." "Excellent homely place with great facilities. Owners are very polite and professinal.Location is good, away from main town , facility the great waterfall. Homestay is neatly done and best the rooftop cafe with nice library"
"This is excellent hotel to stay in Pipalkoti. Rooms are very neat and clean. They have hot water facilities. Col. Navin who is owner of hotel is very helpful. He is ready to help any time. Buffet breakfast and dinner is very good.."
"A fine budget property in the laps of mountains. 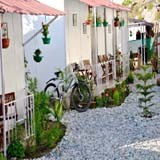 This property is best for budget travelers looking for a budget and comfortable stay. Food is not very good, but the staff is friendly and supportive. " "I stayed a couple of days in this lodge in April and really had a fantastic time there. Santosh (the owner) and his family gave us a very warm welcome. The food was great.."
"Hotel is near to market place and chair car point for Auli. room were good and clean as compared to the price paid. I just spent a single night over there but would love to visit the place again and explore more." "It is located at just 5 min walk from the taxi stand. The hotel is quite cheap and the guy working there is very nice and helpful. The room was sufficiently clean with basic amenities. " "The Eskimo Igloo Hut is nestled in the beautiful city of Joshimath, a small hill station town of Uttarakhand. It is a beautiful valley that is settled at the foot of the Himalayas. " "Stayed here as part of chardham yatra in the month of April so weather was pleasant. 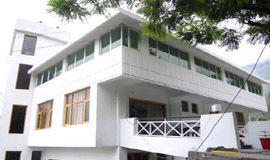 Conveniently located near main Temple complex with spacious rooms & bathrooms. Interior seems bit worn out may be due heavy rush & harsh weather. Bed and linen was clean..."
"This hotel in Joshimath hasan in house restaurant. Prayagkumbh Camp in Joshimath is located at a distance of 21 km fromGovind Ghat and approximately 23 km away from Ghangaria Village." "Joshimath has slowly embellished to an amazing eye-pleasure. Amidst a plethora of sojourn spots in the vicinity, Hotel Neelkanth renders a classy accommodation along with contemporary amenities... "
"It is the one of the best hotels in joshimath. Each room is fitted with a TV. Certain units include a seating area where you can relax. 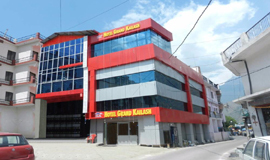 .......... "
"Hotel Kuber is nice hotel to stay at Ghangaria. Nice food and rooms available. Need little care for cleaniness in rooms as well as kitchen. But more than expected facilities at a height of 3100m. " "Awesome location and very close to nature.People are very sweet and you will get home food which is very delicious. Arvind Ji ,owner of this hotel, is a very nice man .I would recommend this hotel to any of u who is looking for a great stay"
"We stayed here for two nights and it was a great experience. It was one of the best GMVN properties I stayed at. 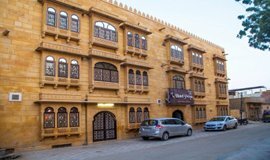 The property had recently been revamped and hence rooms were done with new furniture and classy Jaguar fittings in the bathrooms..."
"Its the best place to stay if you want to enjoy nature , homely hospitality and homely indian food....."
besides. 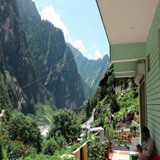 Through allseasonsz.com you can book awesome Joshimath lodgings online in advance,available in sensible rates and prices.Use the link in the list below to esteem your favored accommodation. In actual there are15 hotels in Joshimath reviewed by the travellers. 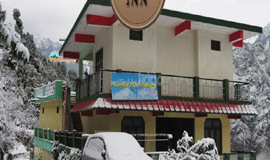 The most popular Joshimath hotels are Nanda Inn Cottage, Chardham Camp, Himalayan Abode. The lowest available tariff for Joshimath hotel deals are available at Rs.800. 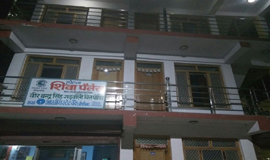 You can search for Joshimath Resorts (2) Joshimath Hotel (5) Joshimath Self-catering/Villa/Cottage (2) Joshimath Tent/Camp/Caravan (2) Joshimath Home Stay (2) Joshimath Guest house/Hostel/Lodge (2) Joshimath Boutique hotel (1). There are wide range of hotels in Joshimath for families,groups,kids,friend,nature lover,for weekend break and mainly for honeymoon couples,as Joshimath is considered one of the best honeymoon destination of Uttarakhand. For travelers seeking from all part of India and abroad proper understanding about Joshimath and its Hotels is must. 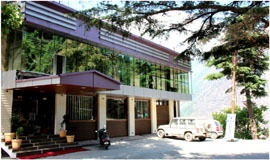 Joshimath Hotel frequently asked Questions provides proximity to its travelers.In Joshimath FAQ you can get all the detail information about its tourism, Hotels must to activities,places to visit,how when where why and what to do in Joshimath so that you can plan your journey accordingly.Here we are providing all the latest and detail information about Hotels in Joshimath via questions that arouse in mind of every traveler before planning his or her journey. Can you suggest me the best hotels or resorts to stay in Joshimath? Joshimath is an awesome place to visit as it is a prominent traveler destination. This means many individuals come to see and experience every one of the sights and sounds that this place has to offer. 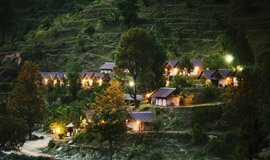 The best hotels to stay in Joshimath are XRA Cottage, Chardham Camp, GMVN New TRH, Himalayan Abode , Le Meadowsand lots more. For more best hotels just follow the link:- Hotels in Joshimath. Mostly Hotels in Joshimath have sufficient parking spaces. Most hotel also have a garage (partly with costs), where your car can safely be stored overnight. Sometimes, there are also parking spaces free of charge at or around the hotel. 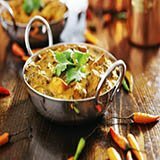 Are there any good restaurants in Joshimath? Are their hotels in Joshimath that offers rooms under Rs. 2000? There are many hotels in Joshimath that offers hotels under Rs. 2000. For Best option you can check GMVN New TRH, Snow Crest, Eskimo Igloo hut, Hotel Neelkanth, TRH Badrinath Devlok etc. For more best hotels just follow the link:- Hotels in Joshimath. Please suggest me best 5 star hotels in Joshimath? 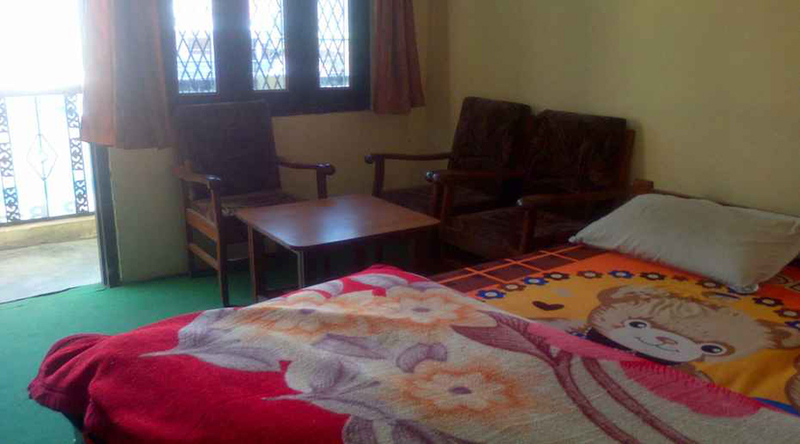 There are a lot of options for comfortable stay in Joshimath. But there are no 5 star hotel in Joshimath however there are some hotels in Joshimath which offers 5 star facilities like, Chardham camp, Himalayan Abode etc.For more best hotels just follow the link:- Hotels in Joshimath. Need Expert advice on my journey plan for Joshimath? Allseasons holidays executives are there to assist you in plan your journey providing you detail informations about Joshimath and all other places in Uttarakhand.Traveler seeking advice can mail us on booking@allseasonsz.com or can call on our board number 902-712-5355 (40 Lines). 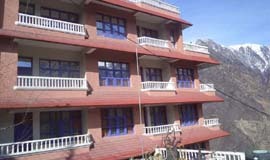 Why to Book Online hotels in Joshimath from Allseasonsz.com? Joshimath have lots of inbound and out bound travel agency to serve the travelers.So why a traveler will opt for Allseasonsz.com.The reason behind is that Uttarakhand is Allseasons home we serve all the travelers by being with them during their whole trip to make it hassle free and memorable for long time.Some key point to look before booking online with us. We are based on your destination to assist you not in city of departure. 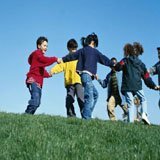 We are able to serve you in every part of Uttarakhand from High metro city to untouched part of Uttarakhand. Book online Joshimath hotels and resorts and get exclusive discounts on hotel room rates and packages. Our Own fleets of transportation from smaller vehicle to big size bus in every part of Uttarakhand. Allseasons owned properties for best rates and packages. Wide range of Marketed hotels and resorts of Allseasons to choose from. 24x7 our Executive to assist you in any destination of Uttarakhand. Authentic Information Guide of Joshimath hotels. 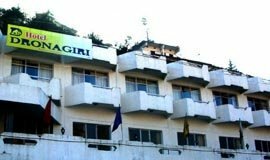 Compare Joshimath hotels with their category hotels.Comments from our local expert to assist you in chosing your hotel. 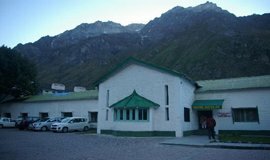 Wide choices of Joshimath hotels and resorts as per star category, ratings, facilities and location. Joshimath Lowest Tariff and Best Discount Offers in our marketed or self owned property. Best part to book from Allseasons is during the long weekend break or in peak seasons.We assist you with affordable prices,best rates to make your journey non expensive. Joshimath is a well known hill station and a celebrated place for journey at a stature of 1,890mts above ocean level in Chamoli locale of Garhwal division in Uttaranchal. In old sacred writings Joshimath is portrayed as Kartikeyapura as it has been named after Kartikeya, the God of Katyuri lords. Joshimath is one of the four maths or cloisters built up in the eighth century by Adi Guru Sri Shankaracharya. The streams Alkananda and Dhauliganga meet at the confluence of Vishnuprayag found just underneath Joshimath.In Joshimath Sightseeing Places For Tourist Attractions Are numerous But Famous Joshimath Attractions are-Narsingh Temple,Kalpavriksha,Auli,Valley Of Flowers ,Hemkhund,Nanda Devi National Park,Govindghat. Among the 15 hotel in Joshimath the most popular one are Nanda Inn Cottage, Chardham Camp, Himalayan Abode. TheLuxury hotels in Joshimath starts from Rs. 4000. Tariff for Joshimath hotels starts from 3000 and goes to 8000,charged by Joshimath luxury hotels it can also hike in summer season. Luxury hotels in Joshimath include premium amenities like massage services, swimming pool,bathtubs,restaurant, Wi-Fi, jacuzzi, sauna, fitness centre or gym, bar/lounge, dry cleaning services, valet parking, banquet hall and conference rooms for meetings. 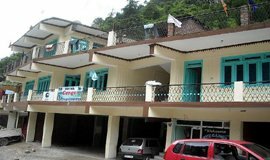 There are 4 Budget hotels in Joshimath which are priced below Rs. 3500. Tariff for hotels in Joshimath starts from 800. 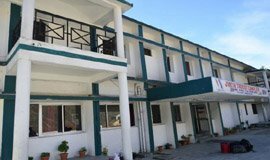 Cheap hotels in Joshimath may provide basic amenities like a Telephone, AC,private bedroom, colour TV, 24-hour front desk,housekeeping and security staff on call. These hotels are affordable and value for money. Joshimath is a town that is situated in the state of Uttarakhand in the District of Chamoli. The spot is very adored by Hindus and it is an imperative journey focus in the nation. Numerous fans and voyagers can be found in the range amid the pilgrim season. There are numerous sanctuaries and different religious regions that are situated in the town too. The town serves as a base for voyagers who are looking to take a trek to a portion of the higher districts. One can achieve the Valley of Flowers by taking a trek from the town of Joshimath. There are numerous inns and dharamshalas that are situated in the town too and these take into account the guests. There is an eighth century matt called the Adi Guru Sri Sankaracharya and this is a standout amongst the most famous spots in the town. There are numerous sanctuaries that are situated here too and one can see all of them around the town. For the ones among you who are occupied with enterprise sports, there is a spot called Auli that is situated around 16 km from the town. This is one of only a handful few spots where you can encounter games, for example, ice skiing. The Nanda Devi Park is additionally another traveler spot in the area. Tourists visiting Joshimath can also plan a trip to Govindghat, which is approximately 21 km away. This hill station is home to a number of attractions, including Badrinath, Auli, Mana etc. Apart from visiting Govindghat travellers can pay a visit to Valley of flowers which is known for its meadows of endemic high blooms and the assortment of vegetation. The atmosphere in the town of Joshimath is icy consistently and one needs to convey substantial defensive attire while travelling to this spot. Indeed, even the summers are somewhat cool in the town of Joshimath. Overwhelming precipitation can be normal amid the rainstorm season and broad showers can be seen as the day progressed. Winters are greatly cold with temperatures touching the freezing point. Snowfall can likewise be normal around there amid the winter season. 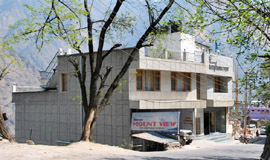 Joshimath hotels,hotels in Joshimath,2,3,4,5 star hotel Joshimath,best,luxury,budget hotels in Joshimath,list hotels Joshimath,economy hotels in Joshimath,cheapest hotels in Joshimath,hotels for Joshimath,uttarakhand Joshimath hotels,Joshimath hotel online booking,Joshimath hotel rates,prices,packages,tariffs,allseasonsz.com Joshimath trips to Valley Of Flowers, Govindghat, Auli, Chamoli. 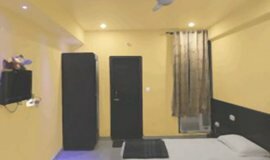 Book online Hotels in Joshimath, grab privileged discounts on Joshimath hotel room rates,packages of 2,3,4,5 star hotels in Joshimath at best rates?Your search ends at www.allseasonsz.com-Uttarakhand largest online travel company since last two decades.